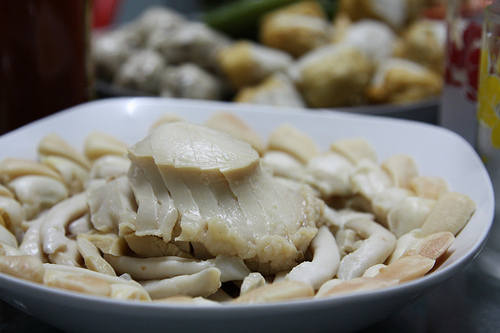 Food Costs > How Much Does Abalone Cost? How Much Does Abalone Cost? Abalone, an edible mollusk, similar to a snail, is a single shell gastropod found in coastal waters across the globe. Of all species, it’s the red abalone that is considered to be the most prized. Like clams and scallops, the section that is consumed is its large muscular foot that forms the majority of the body. The cost of abalone will greatly depend on where you purchase it and how it’s processed. Abalone steaks can cost $90 to $155 per pound, whereas frozen abalone can cost as little as $55 per pound. Live abalone can cost $25 to $35 for about seven to 10 ounces, while dried abalone can cost about $150 per pound. The best selling abalone steaks on Amazon.com, for instance, retails for close to $150 for one pound of steaks. At Giovanni’s Fish Market, an online seafood retailer, they sell 12 to 16 “California Red” abalone steaks for $125 per pound. In a New York Times article, the black market for poached red abalone retailed for close to $100 each. On Alibaba.com, there were close to 150 listings at the time of this publishing, with prices ranging from $50 to $75 per pound for a frozen bag. Canned versions were much less, retailing for as little as $0.50 to $15 per can. Most merchants did ask for a 50-pound minimum order, however. Worldwide, 15 abalone species are commercially cultivated, but the most popular in the North American market includes the red abalone, available from California and Mexico, and the black abalone, which surrounds the San Miguel Island off the coast of Southern California, according to SeafoodSource.com. The average sized wild-caught abalone is about 12 inches, with the meat weight averaging close to one pound. Farmed abalone, on the other hand, can grow to about four inches in length. Due to concerns about over-harvesting, most countries have limits on how many can be harvested. Because of this, some have opened abalone farms to harvest and sell abalone legally. Before you eat an abalone, you will need to clean it thoroughly as with any raw seafood. First, you need to remove the meat from the shell by sliding a spatula or other flat tool between the abalone and its shell. Most people keep the shell to display the abalone once cooked and ready to eat. The guts, viscera and skin then needs to be removed. The most common way to cook abalone is to pan-fry in vegetable oil or with a fresh batter spread over it. Steaming is another popular cooking method as well. In China, where abalones are most common, they are considered a status symbol. The breaded and fried abalone is delicious when served either hot or cold with a wedge of lemon. It can also be consumed raw like sushi. Abalone is a type of shellfish, known as a gastropod mollusk. In the animal kingdom, an abalone belongs to the phylum Mollusca. An abalone is a univalve, which means that it possesses one shell instead of two symmetrical shells, just like an oyster and clam. The shell is a somewhat flatted whorl, which resembles an ear, with a slightly elevated apex at the middle of the spiral. There are small holes that support respiration along one edge of the shell. The creature lurks within the shell, clinging onto rocks with its foot while searching for algae and other sources of food. Abalone reproduces by releasing eggs and sperm into the open water. The steaks are known to have a mild flavor with a hint of sweetness, and many chefs compare the flavor to that of a scallop or lobster, with a texture of veal. Steaks can last up to four days in the refrigerator, and the longer you wait to consume, the richer the flavor may be. Due to the plummeting red abalone population in the early 1970s, California placed heavy restrictions on harvesting, only limiting those to sport dive north of the Golden Gate Bridge only.